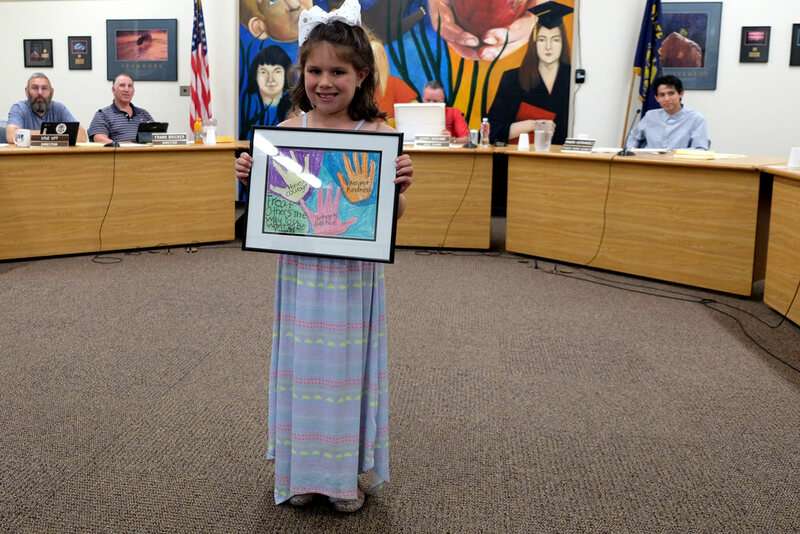 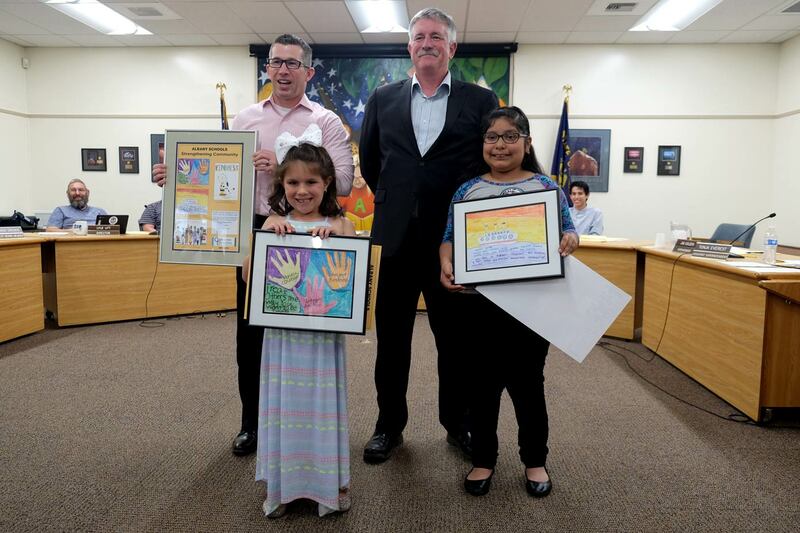 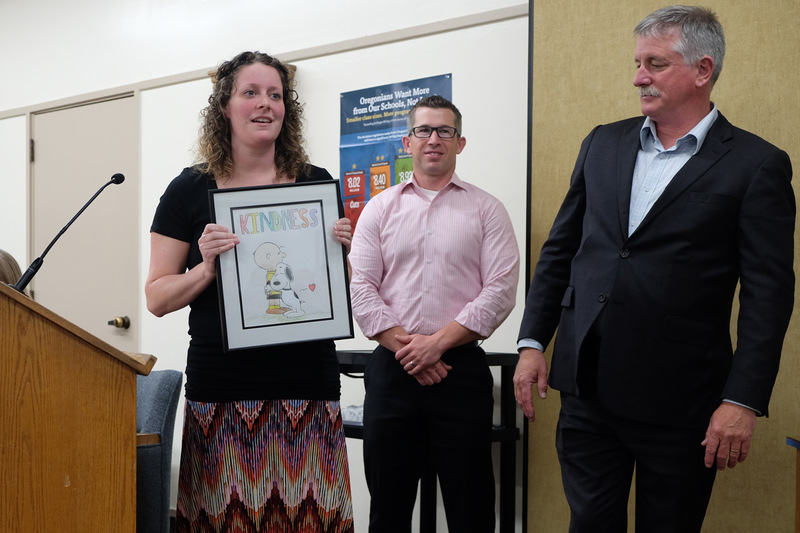 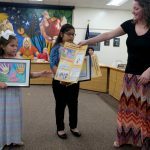 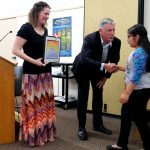 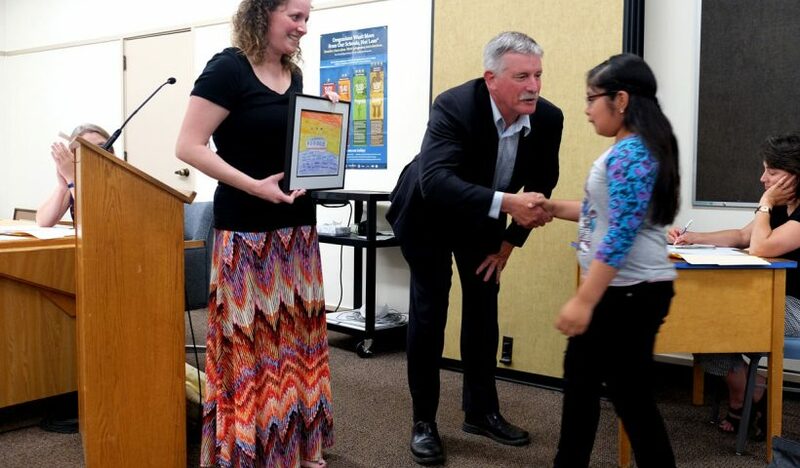 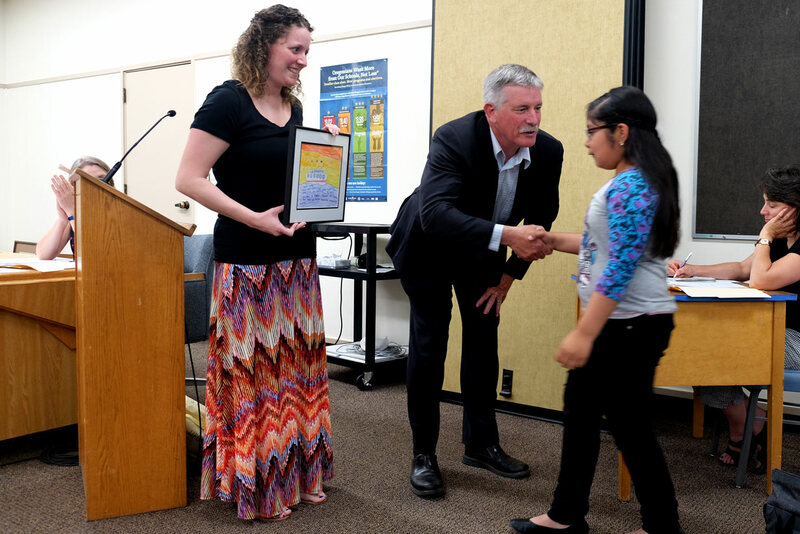 Winners of the annual character education poster contest were recognized at the June 5 School Board meeting. 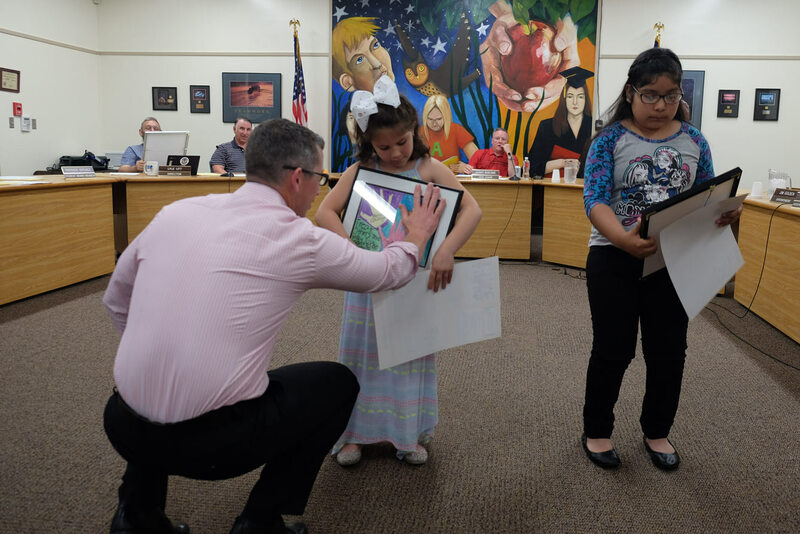 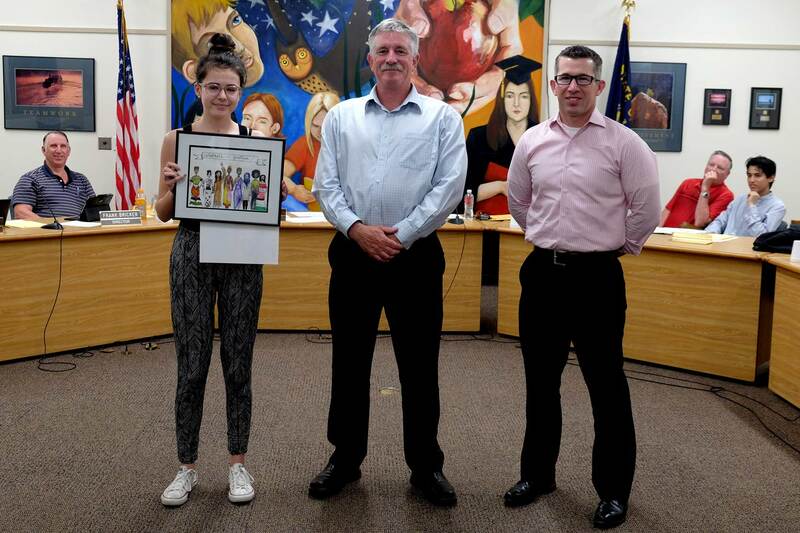 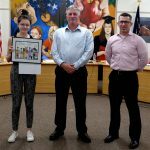 The winners at the elementary, middle and high school levels received framed prints of their artwork. 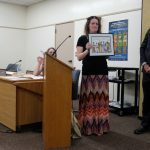 Awards were presented by Amanda Miller. 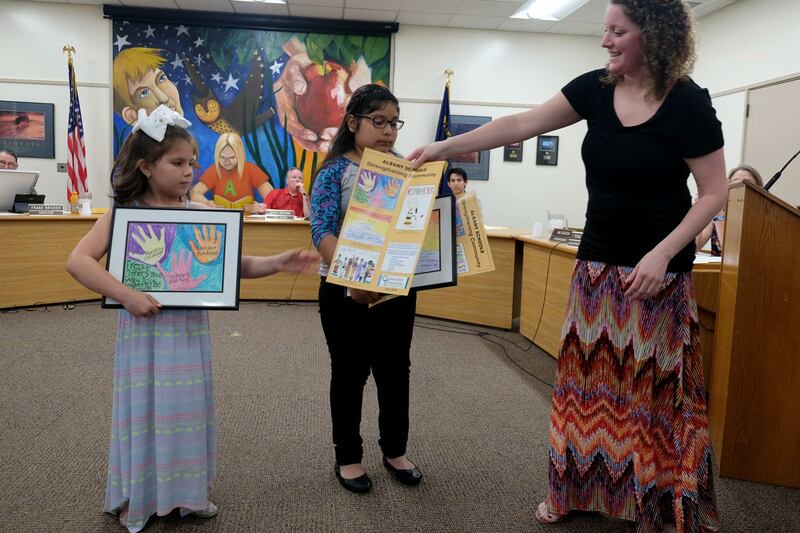 The annual contest is sponsored by the Albany Public Library. 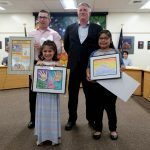 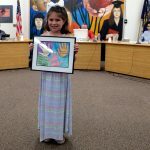 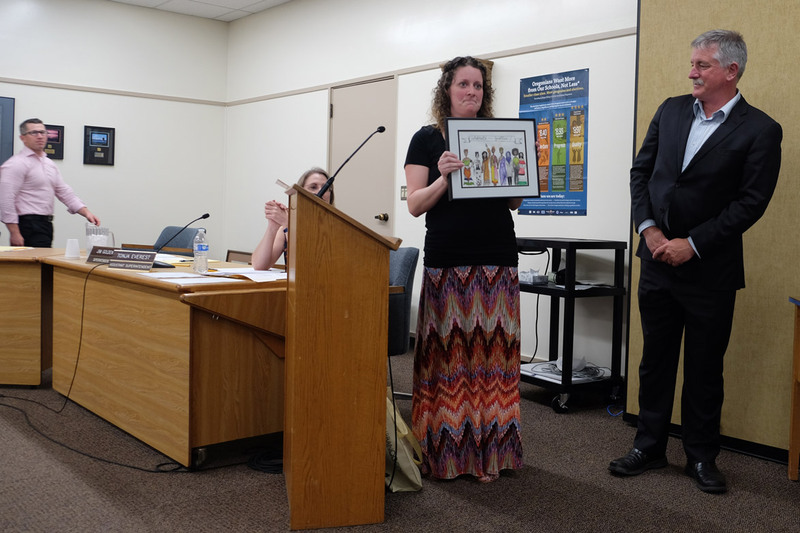 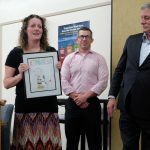 Students were allowed to submit original art in any medium and must feature one of eight character traits: honesty and integrity, self-discipline, courage, social responsibility, kindness, respect, justice and personal responsibility.